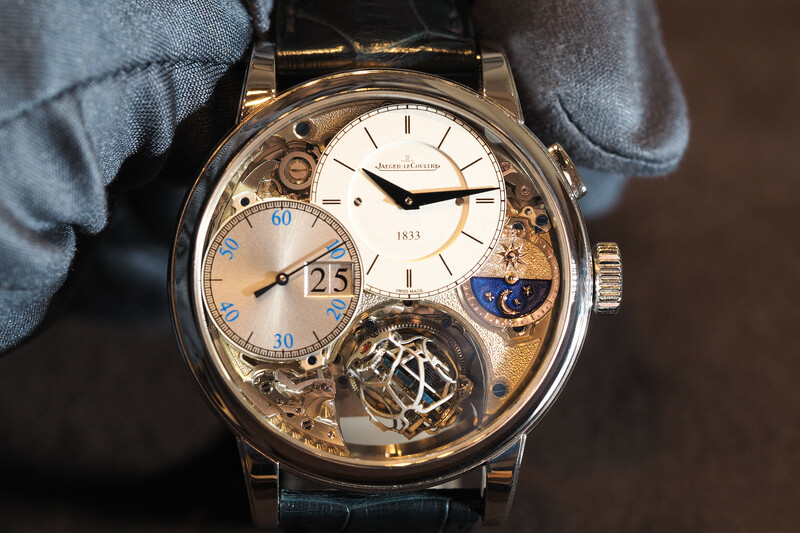 The city has been the industrial heart of Swiss watchmaking since the 1800s. 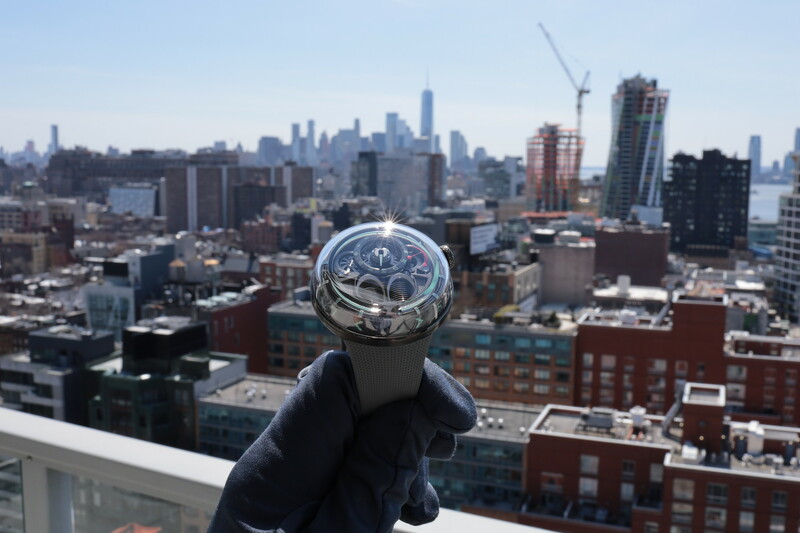 It’s home to some of the industry’s most powerful watchmaking brands, like Rolex and Omega, right alongside young independents such as Armin Strom. 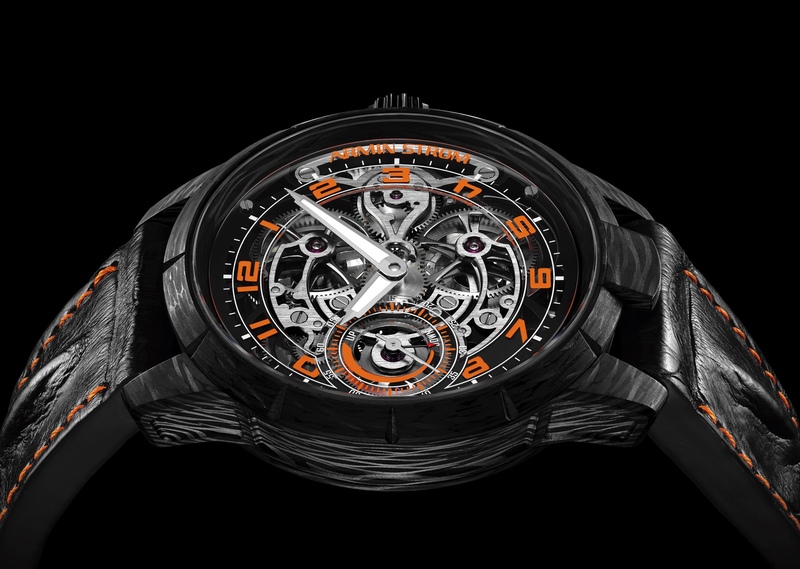 Originally founded by Armin Strom himself, a watchmaker with a specialty in the art of skeletonization. In 2006 Serge Michel took over the company and refocused on producing a more contemporary, unified line of timepieces – yet still to this day every movement has a hand engraved component as an homage to their heritage. By 2008, the company began producing its first in-house movement, thanks to the investment from Michel and the guidance of Claude Greisler, which thereby eliminated their total reliance on outside suppliers. 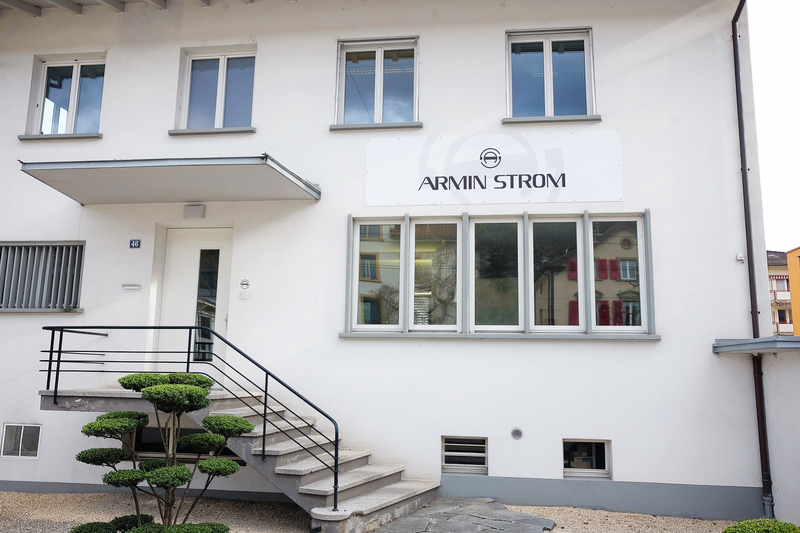 In March 2017, just before the start of the world’s largest watchmaking trade show (which I attend every year), I took a train from Basel to Biel/Bienne to visit Armin Strom’s manufacture, which takes a little over an hour. For reference, the French usage of “manufacture” refers to a watch factory that designs and produces at least one caliber (or watch movement), entirely or mostly in-house. The journey, like most train rides in Switzerland, was filled with beautiful countryside views right up to the picturesque train station, that’s situated at the base of the mountains, with watch factories visible all around. After a short Uber ride from the station, upon arrival at Armin Strom, I saw the prerequisite watchmakers assembling watches, workers manufacturing components and hand finishing of miniature parts – all within a spotless environment with great natural light, much the same as we’ve seen at long-established watch manufactures such as Audemars Piguet, A. Lange & Sohne, Piaget, and Jaeger-LeCoultre over the years. However, one distinct difference I noticed immediately was the closeness and proximity of the departments. The relatively small size of the facility seemed to create a unique synergy not possible at the larger watch houses. Accordingly, the teams can work together better because they are all near each other. Another detail I noticed was all sorts of components, such as mainplates and bridges, in unique colors such as purple or blue, that were being worked on at workbenches around the factory. It turns out that these parts were being prepared for the debut of the company’s new custom Configurator system that was launching the next day, at Baselworld 2017. Customization may seem like an obvious feature that all watch companies should offer, and many do on a much smaller level (engraved casebacks or custom straps), but to offer virtually every primary watch component, in a number of variations that customer can choose from, is a logistical nightmare, which surely becomes more difficult to manage as the volume increases. Interestingly, Armin Strom director Claude Greisler explained to Professional Watches how this ability to offer custom options was already one of the companies core competencies, as they were already doing some level of customization for over half the timepieces they sell (Armin Strom currently produces 600 timepieces a year). And so that synergy, gained from being smaller and closer together, also appears to carry over into their now growing bespoke business. While there are other watch companies already offering custom options, few have anything with so many different choices other than say TAG Heuer with their new Connected 2 smartwatches, which as of this year operate with a very similar modular system. This could become a very hot trend, especially considering the culture of Swiss watch industry, which is highly predicated on competitors following other competitors. In fact, I’ve already heard of at least one more Swiss manufacture planning to offer custom watches soon. Bespoke has long been available in numerous product categories such as shoes, cars, suits – but within the context of watches, it has mostly been reserved for the ultra high-end. Armin Strom is by no means “low-end,” but for this amount of customization, the starting price of $9,100 is relatively accessible. Learn more at the Armin Strom Configurator site.